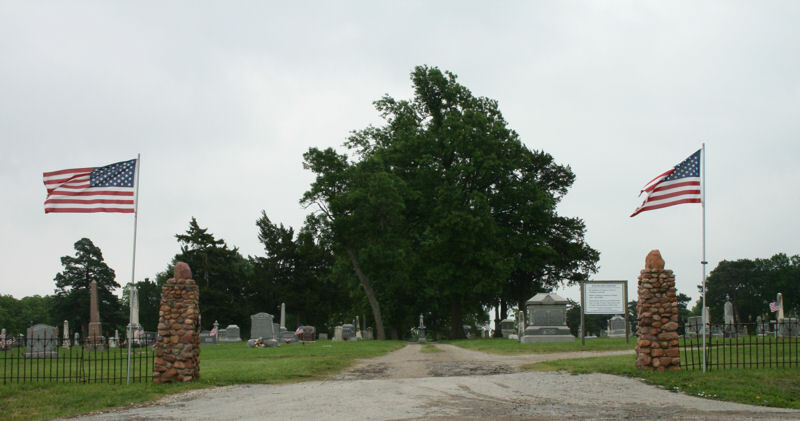 To reach the cemetery from Burlingame drive south on Hwy 56 for one mile. It is on the right (west) side of the highway. This cemetery contains a lot of older stones and some of them are no longer legible. The Burlingame City Hall no longer handles the Cemetery information as it just got to be to much. The cemetery is not owned by the city but is rather a corporation of it's own.